If you’re asked who your main influences are, where do you start? It’s a toughie isn’t it? In some ways I think almost everyone who becomes part of your life in any way, influences you to some degree. But it is a question people ask and it’s something I’m always curious about with other people, because I think it’s another window into who they are. This led me to think about who I would invite to dinner, if I was allowed only six people. My first instinct would be to invite all the family members I’ve lost and who I’d dearly love to see again, but this would take me to over six straight away. So, family not included, here are my six, in no particular order, and why. 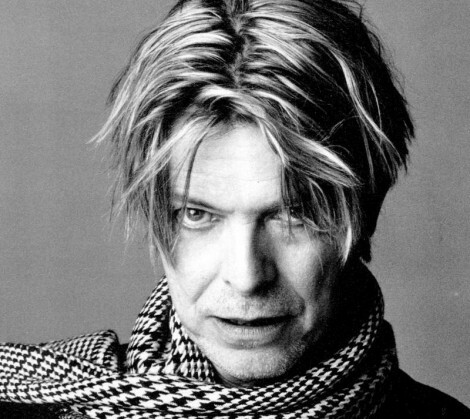 David Bowie: I was brought up on DB, right from the early stuff – Laughing Gnome and London Boy, and my favourite Bowie album (yes, they were albums in those days) Hunky Dory. I used to sit as a kid, cross legged on the floor of the living room, swaying from side to side and singing, at the top of my not so great voice, from the lyric sheet. My all time favourite has to be Kooks, from the Hunky Dory album. I saw DB perform at Milton Keynes Bowl in the 1980s on his Serious Moonlight tour – an amazing experience. Kathryn Hepburn: Because she really was one of the best actresses ever: witty, funny, smart and so beautiful. That nose… those cheekbones. I would die for those cheekbones. I love all of her films, but The Philadelphia Story, which came out in 1940 and won best screenplay oscar, is one of my all-time favourite films, in which she stars with the wonderful Cary Grant and James Stewart. It is hilarious, farcical and as sweet as coconut ice-cream, and she is superb in it. Her timing is impecable and her expressions captivating. And that voice – what a voice, I can hear it now! 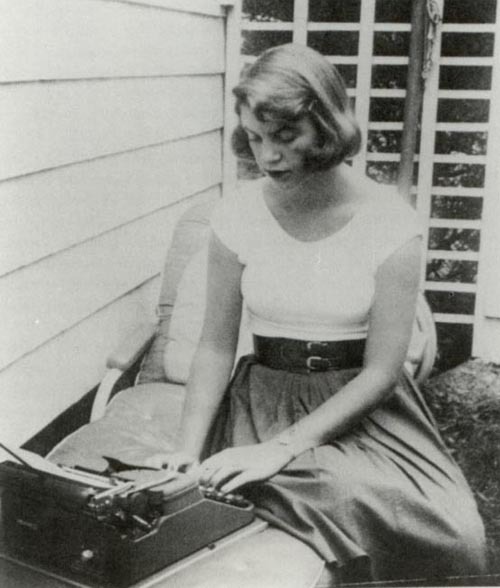 Sylvia Plath: My mum used to have a collection of Sylvia Plath poems on the bookcase, so even before I read them for myself, I was aware of her. When I did finally read them, I was completely drawn in. Then I read a wonderful biography about her, Bitter Fame, by Anne Stevenson. This was a pivotal moment for me, because I felt such an affinity with SP that I was determined to take my writing further, to keep at it and to work even harder. I actually paid a visit to her grave many years ago, a very moving and profound experience. Eddie Izard: The man is a genius and utterly fascinating, incredibly funny, incredibly honest, incredibly warm, full of steely determination and drive and has the best name ever in the whole world of human, or animal, names. He can do no wrong in my eyes. I saw him live on his Glorious tour and he was… well, glorious!… and did I say he was funny?… he’s ever so funny! 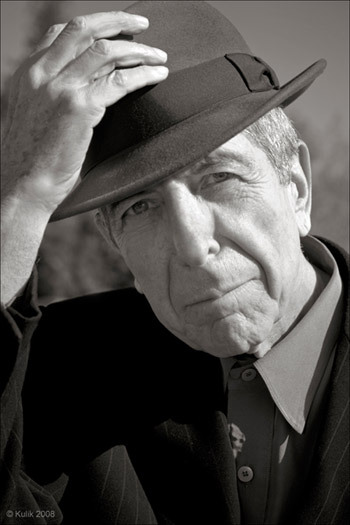 Leonard Cohen: I’m in danger of repeating myself , but… I was brought up on Leonard Cohen, oh yes I was. My mum had one of his albums, The Songs of Leonard Cohen, and a collection of poems. At a later date, one of my uncles did a cassette (yes, there were cassettes then too) of his songs for me that I used to play like crazy. It was later that I got into his poetry, which I now adore. His Book of Longing is beautiful, absorbing, inspiring and raw. If I need a kick up the bum to write more poetry, I read this book – it does the job! John Peel: My hero. It is no exageration to say that I probably wouldn’t have got through my angst-ridden teenage years without him. I would listen to his radio shows every evening, often falling asleep with my headphones still plugged in and the radio still on, way after his show had finished. He was the light at the end of my tunnel, my saviour at the end of another diabolical school day. I could shut out all the horrible stuff and sink into the wonderful music he used to play, bands like The Cure, The Comsat Angels, The Cocteau Twins (I must have had a thing about bands beginning with C!) I won my first writing prize from John Peel, his first (and possibly only) competition to answer a question that hadn’t been asked. There were 10 winners. I was one of them. I won an EP by The Fall, and he signed the sleeve: ‘Dear Abi, A present! 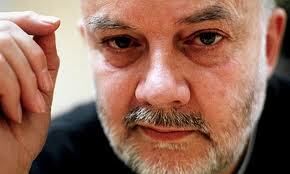 John Peel’… what more can I say? That’s it, that’s my six… but I would sneak in my Grandma, who I miss loads, and there would be white rose petals sprinkled on the table cloth, glass vases of fresias just for her, hunks of bread, cheese and pate, potato salad, a huge glass bowl of home-made fruit salad, and, of course… cheesecake! Well, honestly, you didn’t think I’d forget the cheesecake did you? Who has inspired you and who would you invite to dinner? Definitely my Grandma, and my husband who died 16 years ago – they would have had such fun together, shared an anarchic view of the world. And then my great grandma – who was widowed, and couldn’t read and write, but sewed dress shirts in a garret in the East End so that all her 9 children could to go school. Billy Connolly – cos he finds humour in everything. Anne Enright – I saw her in Edinburgh and she’s lovely. Would love to live next door to her and call in to borrow sugar. Shami Chakrabhati – I’ve no idea if I’ve spelled her name right, but she’s the woman who speaks such sense about civil liberties. That lot should be fun! Hi Jo, Ah, how lovely. This would be such an interesting ‘do’. Your Great Grandma sounds amazing. The people who come straight to mind are always lost ones aren’t they? I think the best ‘bonus’ in life any of us could have would be to spend a day with those we’ve lost. I agree, Billy Connolly is such a funny man, with such a refreshing perspective on life and such a devil may care attitude. I can imagine lots of conversation and laughter at your table. * Donald Fagen – Half of Steely Dan, probably a grumpy git, but I’d just love to find out how he writes, where his inspiration comes from and just what some of those songs are about! * Charles Darwin – I’d just like to know what he would really think about how his theories have been developed, distorted and deified. Actually I’d like a quiet one to one with each of them as I suspect they wouldn’t get along too well at a dinner party. Thanks for those Martin… blimey, what a mix, but what an inriguing one. It’s been too long since I have read a sentence with ‘Prefab Sprout’ in, or ‘Steely Dan’ for that matter – is it just me or do they sound like two characters from a children’s book? 🙂 I’m with you all the way with CS Lewis and Charles Darwin, but as you say, you’d want more than a few minutes between mouthfuls for these two wouldn’t you? I have it on good authority that ‘Steely Dan’ is in fact a character from a book, but certainly not a children’s book and not a human character either – I think it would come more under the category of ‘adult’ fiction! (unfortunately). I’d like to invite my dad’s parents, as I never met them. They ran a smallholding with all sorts of animals on it and I know we’d’ve got along! Then my mum’s parents, who I *did* know – but still feel I never got enough time to get to know properly. They lived all over the world, including Germany and Malaya; my grandad was a chemist and also a hugely talented artist and musician who was always interested in my writing, but sadly he died when I was 16 and I’d love to be able to talk to him about it again now. And although my grandma dies more recently, she was one of the strongest women I have ever met – no-one but NO-ONE ever got the better of her! – and I’d love to be able to have one more conversation with her (oh dear, filling up a bit as I type this!). Which leaves 2 more guests… I guess number five would have to be Paul Simon, because I’ve loved his music from a young age. His lyrics are more like poetry, and I’ve always found them so inspiring. And for number six I’d ask Philip Pullman, because the HIS DARK MATERIALS books are some of my favourites, and he’s such an interesting person. What a great dinner party that would be! Aw, they all sound so lovely and interesting. I have been lucky, having known all my grandparents, although my Grandad died when I was 18 and I would have loved for him to have seen my books. 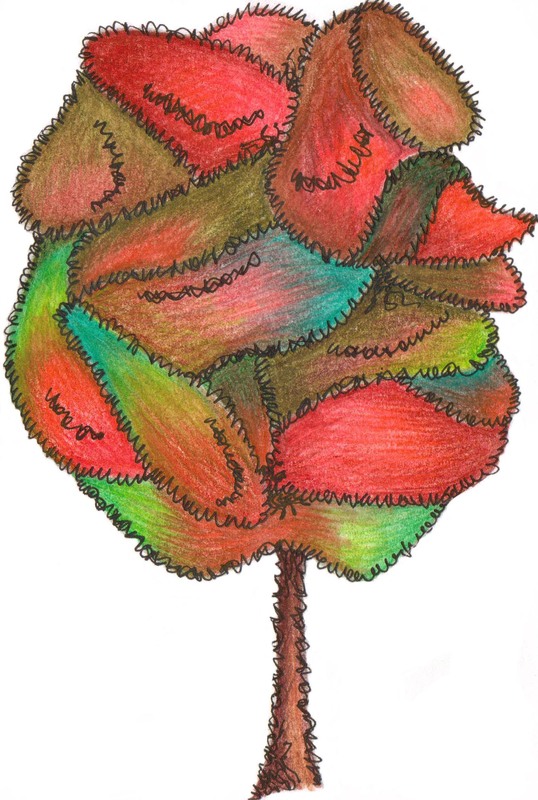 I was very ‘arty’ at the time and he was always so interested in my drawings and so encouraging. As for Paul Simon’s lyrics – wonderful! Simon and Garfunkel are faves of mine too! Fabulous! I can now see the logical, linnear, part of you coming out Wendy 🙂 Monty Roberts – what a wonderful person to have there. He would be fascinating. I feel yours would be very animaly orienated conversations… though who knows what would happen with SF and MM thrown into the equation! Oh how glad I am to be seen as linear and logical….at long last! Honestly, if you spoke to me in real life you would get so muddled up – I start speaking about one topic & shoot off onto another – an another – I’m like a sparkler. I frequently leave people looking dazed and confused. And certainly SF would probably walk out half way through the first course! I have got better with age. Used to be diabolical. But when it I put pen to paper I become much more sensible. Glad you’ve heard of Monty R – he is amazing – read his autobio – he used to take in troubled teens & use the horse method on them & it worked. I use this on naughty 3yo so I have a lot to thank him for! Yes I’m sure you’re right – SF & MM would soon put a stop to all things furry! As for your interesting selection of guests – unusual & intriguing mix. 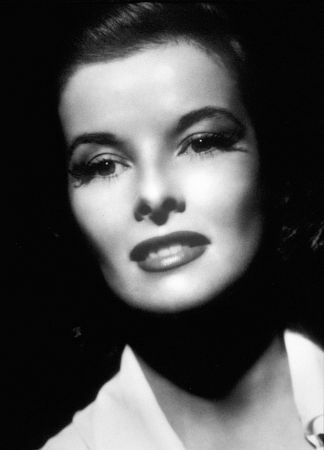 You’ve made me want to watch The Philadephia Story – nothing like an old B&W – and she was so classy. 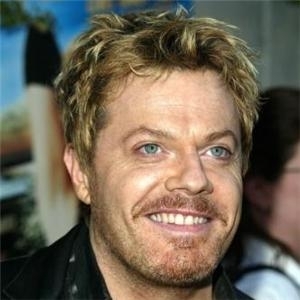 Love Eddie Izzard too – agree, he’s a genius. I’ve never dabbled in poetry but it is obvious from your writing how much poetry has influenced your words. Wasn’t Mr Peel from Liverpool – my home town? Although I never listened to him my OH was upset when he died – he was a big fan. I can’t imagine what Bowie would be like in real life. Strikes me as quiet & elusive. It’s a fun game to play!